Anyway, it's been a pretty eventful week, thank goodness! There is nothing better than a week which has good news in it (ignore the bad, ignore it!) full of Idol awesomeness! Okay, so this is going to be a long post, so click the jump to get to the rest of the post for poll results and some news! Suzuki Airi! She was everyone's choice for the BeriKyuu girl they would like to take on a date! Airi took the poll by storm with 27% of your votes, so congratulations, Airi! So, where will you all go with her on this date? When I put up this poll question, I had a feeling that Airi would win, however I was not prepared for the amount of votes that the poll received! There was an amazing total of 75 votes this week, which is honestly amazing! I don't think that I have ever received that many votes for a poll, so everyone, thank you very much for voting! It truly means a lot to me! 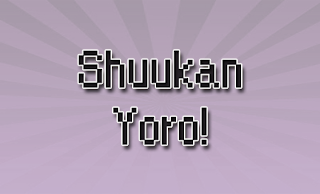 Now, the results for the other members! Le News of Le Week! Joke, but seriously, I wonder how people manage to get onto this blog when writing stuff like the last one in! Seriously, HOW? Hello! SayuNii had featured Okay! 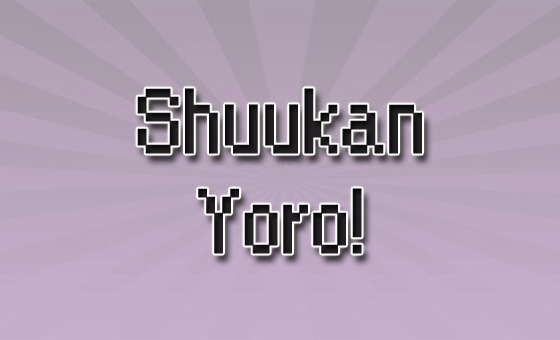 Musume Time on their Shuukan Yoro! Volume 150 last Saturday! I was really surprised by this, because I sometimes don't read Shuukan Yoro, so when my friends on facebook told me that I had been featured there for H!SN's 'Site Feature' section, I was honestly baffled beyond belief. I am very happy that people have recommended Okay! Musume Time to the writers of Hello! SayuNii, because it's honestly one of my favourite news blogs, I visit it everyday, and so to be recommended by people and to be featured there is actually an honour for me. The latest episode of Hello! SATOYAMA Life is up, and this time we get away from the fields (well, not in the beginning) and go glass blowing! The change of pace is quite nice for this show, and shows us something different from what the other episodes have shown us so far, so thankfully the show isn't all about agriculture. For a few people, this episode was a lot more exciting than the previous ones as it showed a bit more variety in what the girls did, as well as a change of faces so that everyone can see different people and also see their favourite members of Hello! Project. Ikuta Erina will be hosting a Ustream show on July 4th at 10pm, JST time! For Morning Musume's Hawaii FC tour this year, Ikuta Erina will be hosting an extra optional event all by herself! It has been revealed that for these extra optional events, there will be three that you can attend. 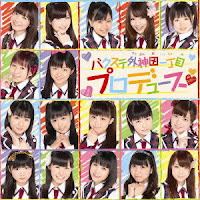 The first team is made up of Tanaka Reina, Sayashi Riho, Ishida Ayumi and Kudo Haruka, the second being made up of Eripon herself, and the third being Michishige Sayumi, Fukumura Mizuki, Suzuki Kanon, Iikubo Haruna and Sato Masaki. Whilst both Tanaka and Michishige's groups can withold a capacity of 40 people for the event, Eripon's is limited to only 20. When I found out about this via Hello! Online's Ikuta Erina thread, I was really surprised, but also really happy, that Eripon was able to get an event just for herself. By far, she is the most entertaining member out of both the 9th and 10th generations, and paired with the Ustream show for the 4th of July, I think that Eripon has a great chance of gaining more fans because of how cute and fun she really is! This also shows that the staff trust and have faith in Eripon, as hosting an event on your own can be hard, but hopefully she will be able to entertain everyone with her personality. Hopefully, there will be more information on the FC event soon, but this is a great piece of news for the fans of this lovely girl, and to whoever is lucky enough to take part in Eripon's special event - I am Jelly already! PASSPO☆ member Okunaka Makoto has been cast in Kamen Rider Wizard, and will play as the heroine in the upcoming new series, which will start airing from September 2nd! This is amazing news for all PASSPO☆ and Makoto fans, as Kamen Rider is extremely popular in Japan, and is always releasing new series or movies. Hopefully the series will show off Makoto's acting talents and give more exposure to PASSPO☆ and potentially gain them new fans who are fans of Kamen Rider! Congrats to Makoto on becoming a heroine of a popular series! A preview of Morning Musume's 6th gen members song, titled Watashi no Jidai has been released! The preview is only 1:25 long, however it gives everyone an idea of what the rest of the song will sound like. I honestly adore this song, it's extremely catchy and fun, something I wasn't expecting from the 6th gen members, especially with the outfits they were given for their CD covers, however I am happy that the song is something which fit both Shige and Winky's voices. I absolutely adore it already, and I think that I am beginning to like this single more and more. Hopefully, everyone can check out the preview and determine which single they would like to buy now that another preview has been released. 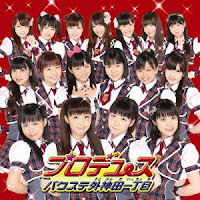 Morning Musume's 10ki now have a preview for their official generation song, titled Seishundo Man'naka, which is an energetic song all about youth. Tsunku commented that, for this song, the girls were too young to think about love (Trolol, two are older than the youngest Qkis) and so he made a song about youth. Morning Musume's 10ki members will be holding a handshake event on July 3rd at Mori Town. It's great to hear that 10ki are being promoted so well, especially with other handshake and release events for Morning Musumes 50th single. This will be a great oppurtunity for the girls to represent the group and show their enthusiasm for this milestone single. Hopefully all fans can attend the event if they are around the area! According to Tanaka Reina's blog, Morning Musume will be performing on Happy Musin on July 6th! It's always great news when we hear about Morning Musume performing on a music show, so of course I am extremely happy that the girls are able to perform on another show to promote this new Morning Musume and to also promote their 50th single! Hopefully everyone will get to see the episode when it is available, so please enjoy! S/mileage's upcoming 11th single, releasing on the 22nd of August, is titled 'Suki yo, Junjo Hankouki' and the coupling track will be C-ute's popular Kimi wa Jitensha Watashi wa Densha de Kitaku. According to the source, the dance is cool and something different for S/mileage. Okay, a comment about the couping song... Hahahahahahahahahahahahahahahahaha NO! Seriously, no. S/mileage really aren't the sort of unit that could pull off that song, because currently, the group consists of: DAWA, who can't really sing, Kanon, who has the best voice out of everyone, Akari, who can also sing, and a shrieking Vampire who uses the aid of auto-tune, plus Gorilla and Rina who rarely get lines that are solo's, and you can bet that it will be Gorilla and Rina who don't get solo's in the song, even if it is a coupling track. So, this sums up to be a coupling song which is mostly the sickly sweeter vocals, and considering Maimi and Chisato are strong singers, you will be changing this song to something shriekier? Pfft, no thanks. Anyway, the outfits look cool. I hate the hats though. Sayashi Riho will be holding a solo handshake event on July 6th in Hiroshima. Sayashi Riho graces the cover of weekly ASCII magazine! It looks like Hello! Project are continuing to promote Sayashi with different activities, and this time it is appearing on the cover of a magazine. It's nice to see that at least one member of Morning Musume is being promoted in a different way, though I wish that other members would get a chance at appearing on magazines or in CM's. However, for Riho fans, this is great news. Morning Musume's 9th generation will be holding a handshake event in Yokohama on July 3rd! For all Qki fans, this is great news, as it means more promotion for the 9th gen members, as well as promotion for Morning Musume's 50th single. There have actually been a lot of handshake events going on for this release, and plenty of promotion towards the girls who are being split and sent to different areas to promote themselves and Morning Musume. I am glad that UFA are taking this chance to promote the single and everyone else, and for anyone who is in the area, I hope that they ill take a chance to meet the Qki generation! The trailer to S/mileage's upcoming movie, titled Kaidan Shin Mimibukuro - Igyou has been released. Honestly, I actually forgot that S/mileage were doing this movie... Then again I haven't really payed attention to S/mileage as much as I used to, but now that the trailer for the movie is out, I'm pretty sure that fans are getting excited at the prospect of watching the girls in a horror movie, however, after watching the trailer, I really can't take the movie itself seriously - especially with the ending clip where the ghost/zombie/thing smiles and laughs. That, and the girls acting seems to be a bit 'meh'. Seriously, I can see that Dawa and Kanon are clearly trying not to smile during some scenes, and it makes the trailer seem less than scary. Anyway, other than my negativity towards the trailer, hopefully fans will look forward to the release of the movie. Miyashita Mayuka, former Houkago Princess Generation member, is now a model under Miracle House. After researching about the recent graduation of three Houkago Princess members, I found out via Mayuka's personal blog that she is now a model under Miracle House's agency. She had posted a link to a schedule, and on a more recent blog post, she talked about a recent photoshoot and posted a picture of herself in a Haruhi Suzumiya cosplay outfit. Hopefully, fans of Mayuka will be happy to find out that she is still within the entertainment industry, and still blogging for her fans. Tsunku has officially created a new Indies Idol unit, formed from hopeful Idols who work within Akihabara Backstage Pass, and they are named Bakusute Sotokanade Icchome. 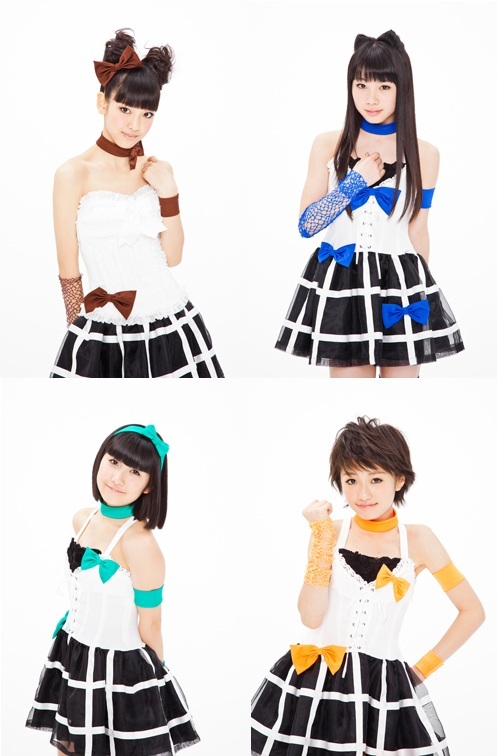 Their debut single release has also been announced, titled Produce, and will be released on the 1st of August! I've been waiting for this announcement for a while now, ever since Tsunku had tweeted about the filming of the PV. This is an exciting piece of news for fans who have been anticipating the release of a new single from Akihabara Backstage Pass, and finally, we have one! Hopefully everyone will be looking forward to this release as well as the fresh new faces of the Idol world! Station♪ have released the cover to their first indies album, titled Go! Go! by Train. The cover also features Chiba Nana, who is a trainee member of the Station♪ team! I accidentally stumbled across this cover when I was looking for a few updates on the group, and at first I had come across an LQ version of the cover, but then found a better, higher quality version on Amazon. 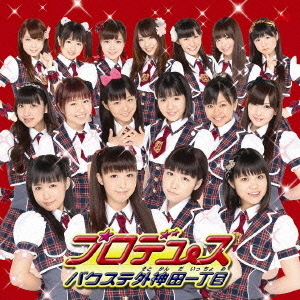 The cover itself is pretty basic, however the girls all look happy, especially Ichika (second on the right). The cover is quite nice, and it also seems like the girls have had a costume upgrade, though the change isn't that noticeable. I'm really looking forward to this album release, and I am anticipating what sort of songs we will hear from the girls. Berryz Kobo now have a preview for their next single release, titled Cha Cha Song! I will say now that I am not the biggest fan of Berryz, which is why I rarely feature them on the site, but the few songs I do listen to by them, I really like, such as Very Beauty. When I first heard this, I liked how fun the song was. It reminds me of Koi no Dance Site, which is such a funny and quirky song, and I really hope that the PV for this song will be fun and different, and match the costumes too. Now, whilst the song is quite nice to listen to, I am not the biggest fan of it, but it suits everyone's vocals well - even Risako's wavering voice (she always does that, like she thinks she has a vibrato). Also, this is a Momoko dominated song. So, for fans of Momo, this is great news for you all, and for people like me - well, cover your ears, because it's Momo... though she sounds kind of tame here, I guess. She isn't butchering her lines like normal. Or is that just me who thinks that? Anyway, have a listen to it and see what you think. A lot of people are really into it, so it seems to be getting popular. Morning Musume have now opened an official site for their 50th single! 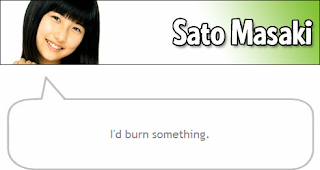 The site includes videos of the current MoMusu members talking about the single and various other things, such as auditions, as well as videos by the OG members (more are to be added) talking about past singles. It's definitely worth a look, and the design is really cool and disco-like. Hopefully everyone will be able to look at the site and watch the videos! 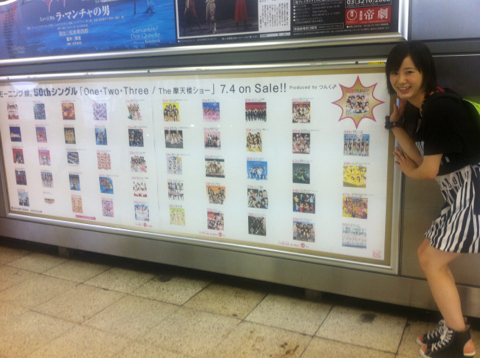 Shibuya Station has been pimped up with posters of Morning Musume members for their 50th single release! It seems that for this single, UFA are going all out, as not only do they get a website, but posters are being put up around Shibuya Station to promote their single! It's amazing how much this single is getting, what with a double A-side, posters around a station, a website and plenty of handshake events around Japan. 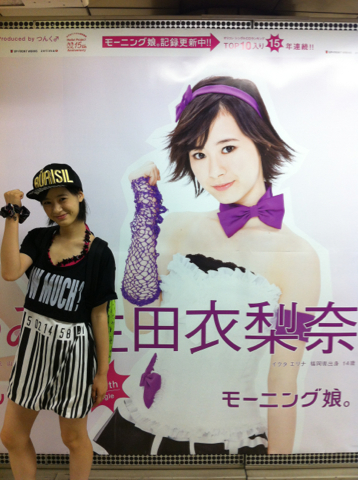 Also, other pictures that have been posted via Morning Musume's twitter show Eripon standing beside her own poster and also next to a poster of all the Morning Musume singles. Morning Musume are continuing to promote their 50th single release, but this time they are shown promoting utside to the general public, where Sayumi and Reina are asking people questions such as what Idol groups they like, and possibly what generations they know of, before the 9ki and 10ki come running up to promote themselves and the 50th single. Though the news clip isn't long, it's an enjoyable watch as you get to see the excitement of the younger generations as they appeal to the public. I like how Morning Musume were able to take this opportunity to talk to the public and ask questions whilst also promoting their single, and this is probably the best strategy in terms of promotion for the group that I have seen. Hopefully everyone can watch the clip! Barks.jp have released an article about Morning Musume's recent shrine visit! Shrine visits are a regular occurrence in Japan, especially for Idols who wish for a successful career or a successful single, so it's no surprise that Morning Musume have gone to a shrine to pray for the success of their 50th single. This is also another great way of promoting the single, which will be released tomorrow (I know, so soon!) 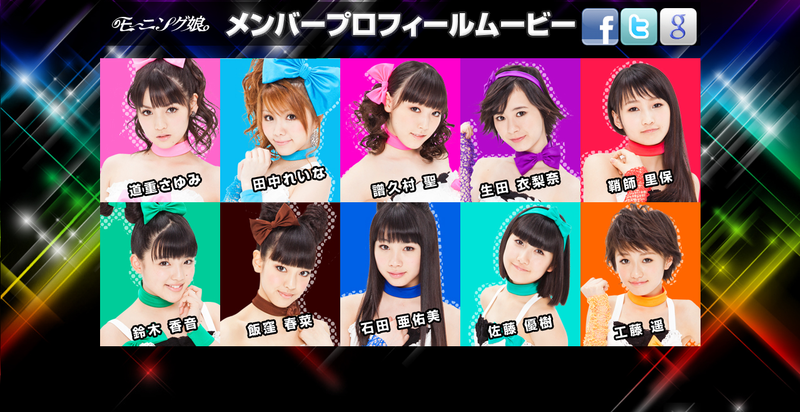 and really helps to get the news out there that this is the new Morning Musume, and that they have made it this far! It's great to see that even the little things, like the girls going to a shrine, can boost their promotion and hopefully get more people interested in buying the single. Morning Musume's One・Two・Three will be played in Family Mart stores nationwide! Once more, there is news of more promotion for Morning Musume's 50th single release, with this one being MV related, as the video will be shown around Japan for everyone to see, whether they are children or adults. This is of course more great news concerning MM, as it means even more promotion and exposure for the group. Oricon has an interview up on their site with Michishige Sayumi, Sayashi Riho and Iikubo Haruna. Another article has appeared on another site for Morning Musume, which can only mean even more exposure and promotion! Whilst all the members aren't present, it's apparent that UFA are going to push certain members towards the media eye to expose Morning Musume, with one of those members being Iikubo Haruna. It's great to see that these girls were able to attend the interview and give more exposure to the group and the release of their 50th single! The site also features a photo gallery of Morning Musume, artist page and a link to their official Hello! Project page! 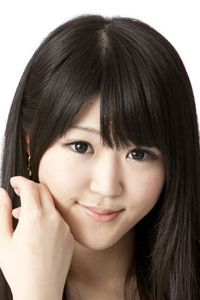 Weekly ASCII has an interview up on their site with Sayashi Riho. Earlier on in the digest, I posted a picture where Sayashi was featured on the cover of ASCII's magazine, and so it's no surprise that she has had an interview with them. It's great that Morning Musume's ace is getting more exposure on her own, and hopefully this will really bring her out of her shell and help her to bring more exposure to Morning Musume. If you can get a chance to read the article, then please do! Billboard Japan has an interview up featuring Tanaka Reina, Iikubo Haruna and Kudo Haruka. Once again, another interview is up for everyone to see! This time, those being interviewed are Tanaka Reina, Iikubo Haruna and Kudo Haruka, which is great since we get to see a few other girls interviewed, with Iikubo being the only other one who has been interviewed twice. It's great to see that Morning Musume are getting so much promotion and exposure because of their fiftieth single, and as it is a milestone single for the girls, a lot of magazines and online sites will be wanting to talk to the girls about the single, Morning Musume and their image. Hopefully everyone can take a look at the article, and warning, there are four pages to read! 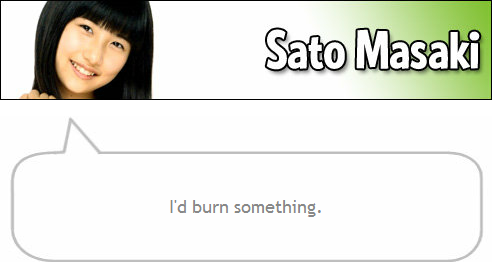 "and considering Maimi and Chisato are strong singers"